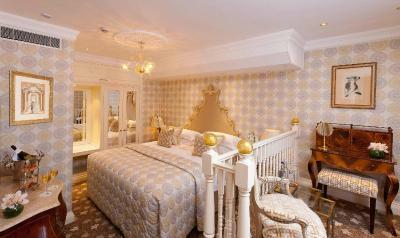 Lock in a great price for The Chesterfield Mayfair – rated 9.1 by recent guests! 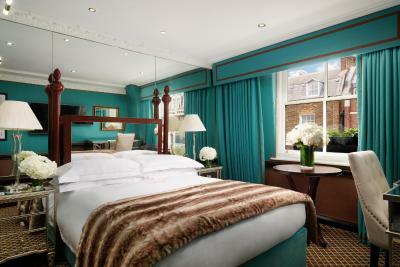 What a lovely London hotel - perfect location, attentive staff, cozy bedroom and sparkling English bathroom. 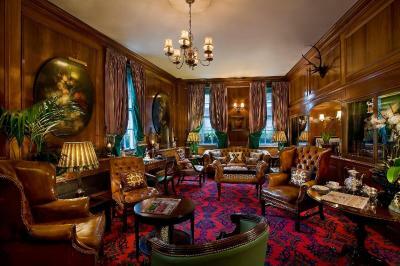 I have already stayed at a sister property (the Montague on the Garden in Russell Square) so had high expectations for The Chesterfield - I was not disappointed! I was traveling by myself and appreciated the doormen keeping an eye out for me. Thank you for a wonderful weekend. Nice towels, nice thick robes in the room. Extremely service oriented staff. Superb location. 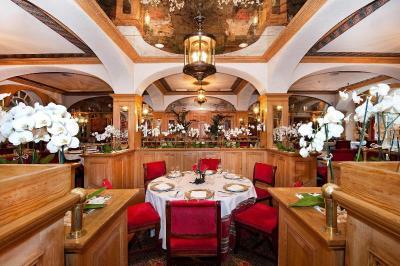 Good location, the staff are very polite.service is excellent. The room was adequate without being spacious, which is what we expect in Europe, but as in the last time we stayed, the toilet didn't flush well, and the shower was a bit dangerous for older folks like us. None of this was particularly troubling to us (part of the challenges of travelling), but the staff were not as friendly or as forthcoming with help as last time, with the notable exception of Darren, who did give us some help and who was wonderful the last time we stayed as well. 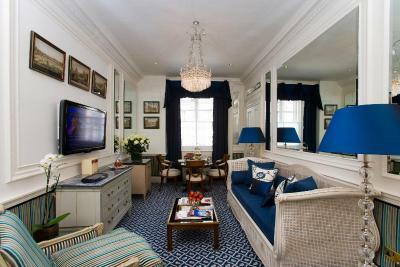 The location, of course, is perfect, in the heart of Mayfair with Buckingham Palace ten minutes walk away. We didn't eat at the restaurant. The beds were a bit less hard than as is usual in most hotels, which I always appreciate, and the room was quiet and clean. It was a bit surprising to me that there was no refrigerator, although we usually don't use it. There were problems with the toilet not flushing completely, which was also a problem when we had another room on the sixth floor previously. It does seem like this should be addressed. However, it was a comfortable, relaxing place to stay, if a bit too pricey, in my view, for what we received. Also, some of the staff were a bit chilly, for lack of a better term, something I didn't experience last time (2015). 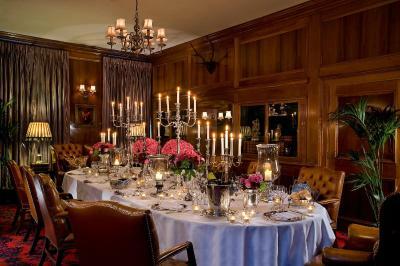 The breakfast was SCRUMPTIOUS, in a gorgeous dining room. Staff is very kind and competent. Really lovely, traditional decor, especially during our visit at Christmas. Beds and linens were top-drawer. Good water pressure and wifi. We would stay here again in a heartbeat. Location is perfect, also the bathroom, towels etc are very good. The lobby was gorgeous and had treats laid out throughout the day. There was a magnificent gingerbread replica in the lobby and the turndown service each night was wonderful to return to in the evenings. 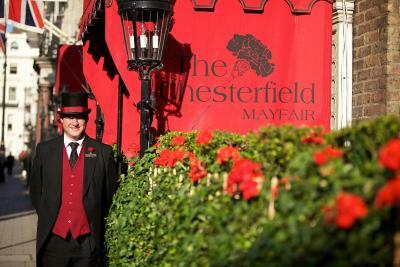 The Chesterfield Mayfair This rating is a reflection of how the property compares to the industry standard when it comes to price, facilities and services available. It's based on a self-evaluation by the property. Use this rating to help choose your stay! 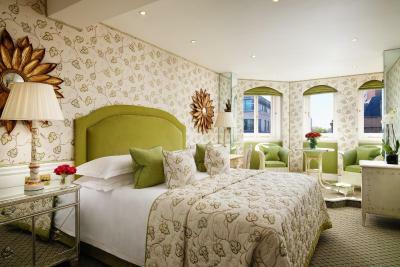 One of our top picks in London.This 4-star luxury hotel is in London's Mayfair, just off Berkeley Square. Oxford Street is half a mile away. 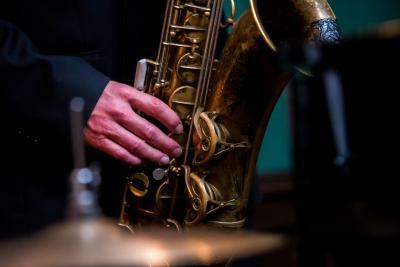 The hotel has complimentary Wi-Fi, air-conditioned rooms and an award-winning restaurant. 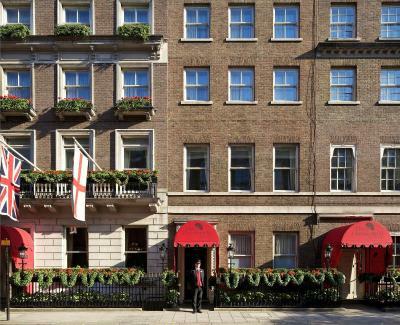 The Chesterfield Mayfair is between Hyde Park and Green Park. Buckingham Palace is half a mile away. 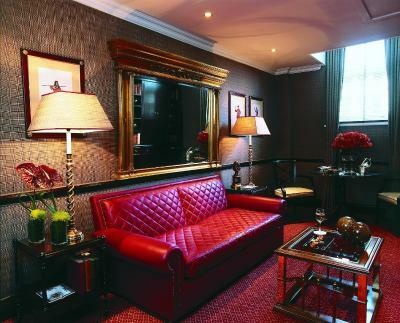 Green Park London Underground (subway) Station and the shops of Bond Street are just 950 feet from the hotel. 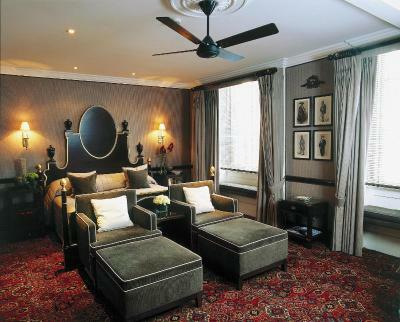 The Chesterfield mixes traditional British charm with modern comforts. 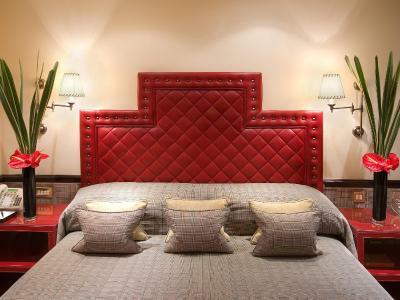 The rooms have cable TV, complimentary bottled mineral water and a choice of bed linens and pillows for extra comfort. 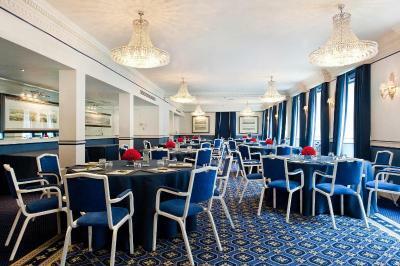 Guests can choose business-friendly rooms with more desk space, luxury office chairs and business extras. The leisure rooms have more storage space and seating areas. 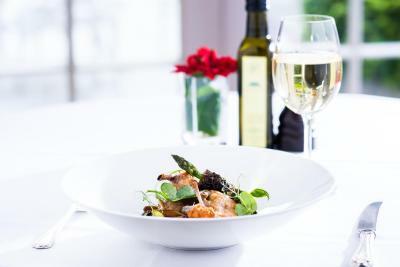 Butler's Restaurant has an AA Rosette award. 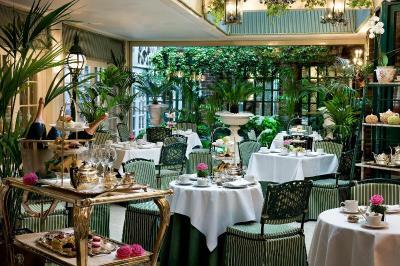 Traditional Afternoon Tea is served daily and has won the Tea Guild Award of Excellence for the last three years. 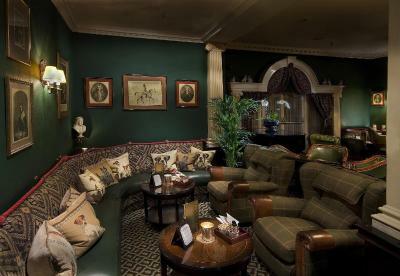 The Terrace Bar has a large whiskey selection and there is also 24-hour room service. 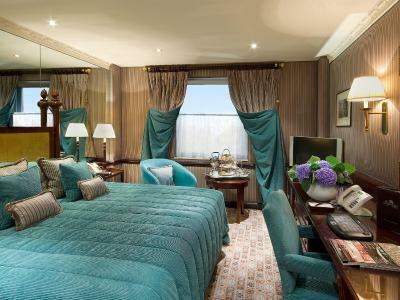 This is our guests' favorite part of London, according to independent reviews. In this area you can shop 'til you drop for popular brands like Cartier, Ralph Lauren, Gucci, Tiffany & Co, Prada. 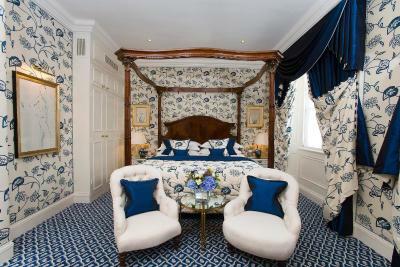 When would you like to stay at The Chesterfield Mayfair? 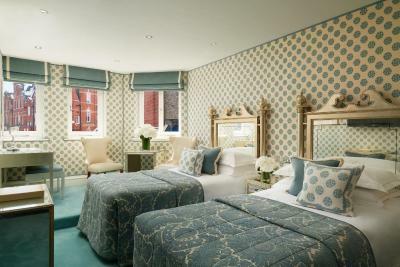 Each Classic Double room is individually decorated in a classic style. These rooms feature a desk and swivel chair, cable TV with movies on-demand, an electronic safe, and tea and coffee-making facilities. Please note that this room only offers 1 queen-size bed and can not offer twin beds. Public parking is available at a location nearby (reservation is not possible) and costs GBP 49 per day. These rooms offer additional space for working or storage. 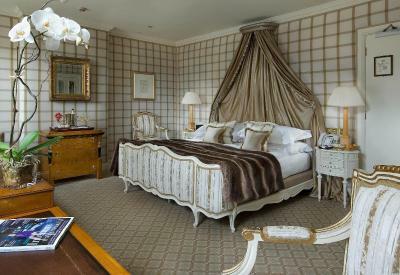 Featuring a classic style, all rooms include Deluxe Fragonard toiletries and individually controlled air-conditioning. 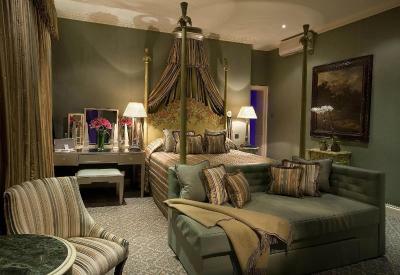 Each suite is individually decorated and includes up-scale features and amenities, such four-poster beds. 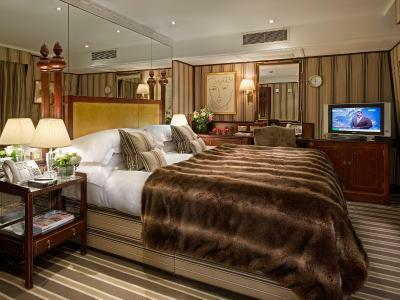 All suites enjoy canapés in the evening, a VIP turndown service, bathrobes and slippers, flat-screen TVs, a mini bar, Bose speakers and a range of toiletries. 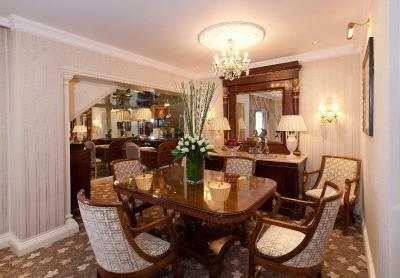 Complete with a separate seating area, these rooms offer guests additional space. 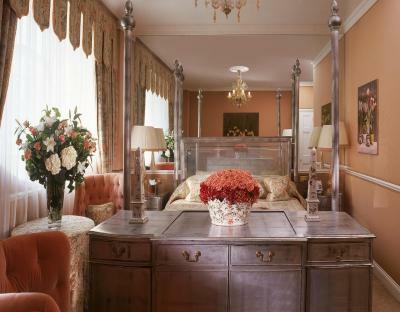 Design and amenity features range from gilt-framed mirrors to four-poster beds. 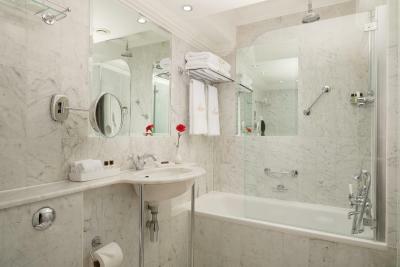 There are 3 individually styled suites all boasting large bathrooms. Additional amenities include espresso machines, bathrobes and toiletries. 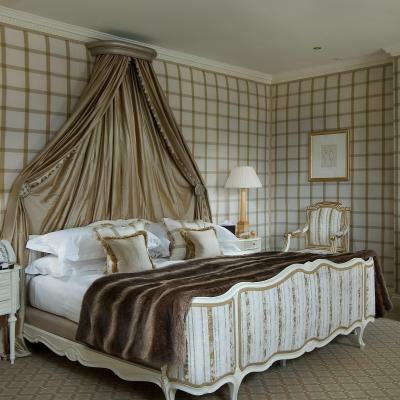 Ideal for sole occupancy, these rooms consist of of a single bed and boast classic décor and amenities such as fine linen sheets and Deluxe Fragonard toiletries. 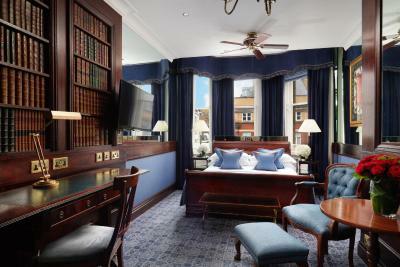 Enviably located in exclusive Mayfair, near designer shopping and many of the city's most iconic attractions, the Regency style, British boutique hotel feels comparable to a traditional private members club. 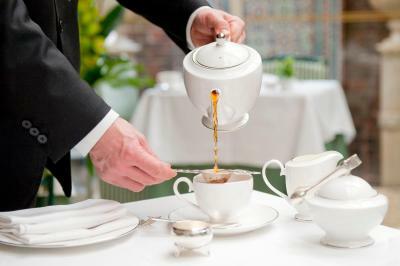 Natural and efficient service blends with supreme comfort and luxury, with a host of thoughtful, personal touches. 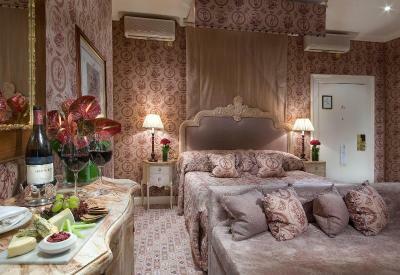 Guests are delighted with elegant rooms and suites, combined with superb facilities and modern technology. 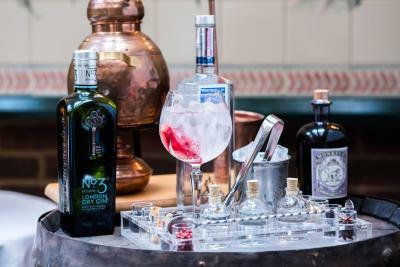 English charm can be discovered in The Library, Butlers Restaurant, Conservatory and intimate Terrace Bar offering creative cocktails and the sommelier’s personally selected collection of fine wines. 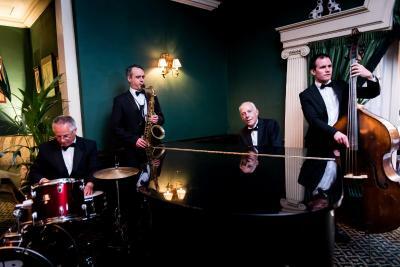 House Rules The Chesterfield Mayfair takes special requests – add in the next step! When booking for more than 10 people, different policies and additional supplements may apply. 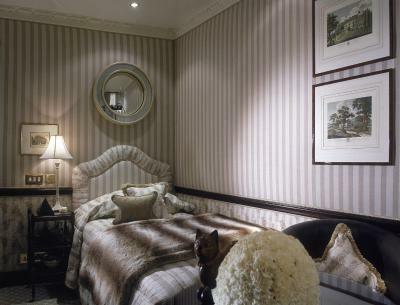 The Chesterfield Mayfair accepts these cards and reserves the right to temporarily hold an amount prior to arrival. Check-in is at 2 pm, however the hotel will store any luggage for early arrivals. If your room is available, you will be provided with keys immediately. To guarantee early arrival your room will need to be reserved from the night prior to arrival at the cost of one night’s accommodations. Please let the hotel know your expected time of arrival. Check-out time is 12 pm, but the hotel is able to extend your check-out time (subject to availability.) Please let the hotel know your planned time of departure if possible. If the hotel is extra busy, they do reserve the right to charge a late check-out fee. 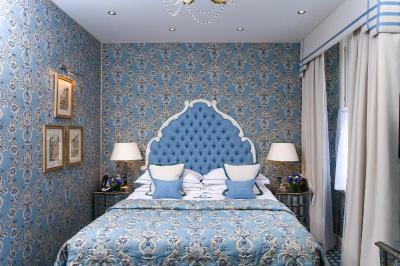 Extra beds are ONLY available in Junior and Executive Suites and not in any Standard rooms. I have stayed at Chesterfield many times. As always last time was excellent. 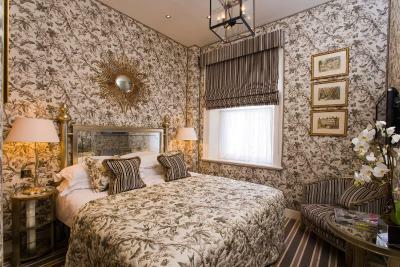 Location is unbeatable, the staff friendly and efficient, breakfast great and the room comfortable with great bedlinen. I will definitely come back. Great location, staff were friendly and attentive, hotel was clean, all food was exceptional, perfect!! 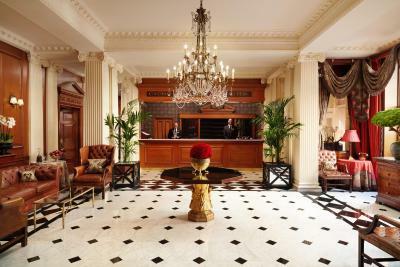 Great location, lovely comfortable rooms, very friendly and helpful staff. The service was super! Quickest and nicest room service I've had in a very long time. Room spotless and very comfortable. We would definitely go back! We were upgraded and the staff made our stay a wonderful experience. Thank you! The receptionist checking in should be released or retrained in customer friendliness. I cannot fault any aspect. The staff are exceptional. 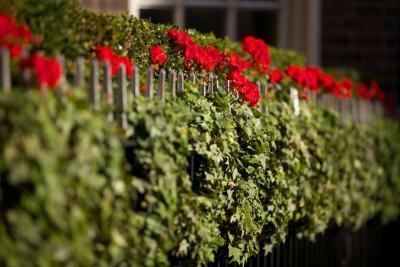 The location is quiet and yet accessible to the major London sights. You are made comfortable as soon as you step inside and staff remember you.